Many of my favourite authors have surnames starting with S, not even considering The Bard, who of course, is so much more than just a favourite author. I was halfway through a post on Shaw when I decided to write one instead, on Vikram Seth whose poetry was a great influence during a period of my life, albeit a past life, once upon a time. One of the many pleasures of reading is to find the echoes of a beloved writer’s voice subtly reflected in another. Like how Hamlet’s soliloquy finds a response in Seth’s ‘Switching off’. I enjoyed writing a response to both the bards through the voice of one of my characters in an early version of The Reengineers. Seems too derisory a joke. The bottle lies on the ground. Which is better, to cease upon the midnight, or to raise a toast to the moon and fall asleep, laughing at the joke called life? Seth’s translation of Heinrich Heine perhaps has the best answer – “Sleep is good, death is better; but of course, the best thing would to have never been born at all.”. These lines evoke R.K. Narayan’s quote, “A profound unmitigated loneliness is the only truth of life”, and are characteristic of Seth’s early poetry that is poignant, reflective and elegant. I must have read his collected poems (Mappings, The Humble Administrator’s Garden, All You Who Sleep Tonight and Three Chinese Poets (Translations from Du Fu, Li Bai and Wang Wei) about twenty times, if not more, during a period of my life which was literally darkened by depression. Above all, I read and re-read the book that many consider as his magnum opus – The Golden Gate. It is not easy to write about depression even after being cured for years, less easier still to read about the condition when one is depressed. Trying to connect with writing on the subject, I had sought out Sylvia Plath’s poetry, The Bell Jar, The Driver’s Seat by Muriel Spark, Girl Interrupted by Susanna Kaysen…their words only rattled my mind that had been rendered fragile and trembling in the darkness. But The Golden Gate saved my life. A few pages into the book and I was laughing aloud for the first time in years. The humour had less to do with it, than relief in the knowledge that everyone shared the feeling of loneliness, universal truth of life. I had very little in common with the protagonists in the book but could relate to their ambitions, idealism, dreams, despair, disillusionment and especially their sense of alienation. I clung tightly to the book as I cried myself to sleep during several of those long, dark years.The verse was a source of comfort, solace, even fleeting moments of happiness. On his other work, I loved From Heaven Lake and found parts of A Suitable Boy a joy to read. An Equal Music was rather too sentimental (I kept wanting to give the character Michael two tight slaps and ask him to get a life) and Two Lives really needed an editor. The Rivered Earth was so disappointing that it put me off from reading Summer Requiem. I am not even sure if I will pre-order A Suitable Girl. 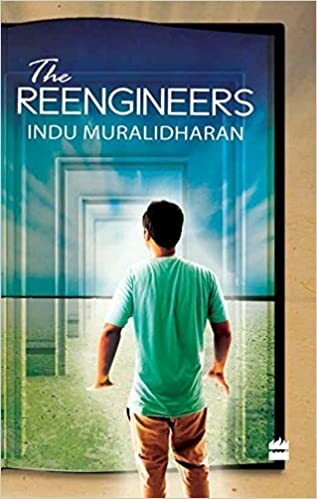 But I remain grateful for what The Golden Gate once did for me, so much that I dedicated my first novel The Reengineers to the poet who wrote it. I didn’t realise how far I had moved away from the past until last Hilary term when I chose to do a critique of The Golden Gate. I found myself nodding wholeheartedly as my Professor explained how the rhymes in the sonnets were was rather clumsy and how the verse was far clunkier than, for example, Byron. My avant-garde poet classmates had strong views on the book – ‘It was horrible!’ ‘Hated it!’ they said, cheerfully. I surprised myself by agreeing with some, if not all of their critique. For now, I see the book as it is. But I remain grateful for the verse and to the poet who along with many others inspired, consoled, energized and sustained me with words through those years of literal and metaphorical exile. This series of posts which I began mid-April last year has taken so long but I am determined to finish the series before end of March and do a proper challenge in April, doing a post per day.